The Pale White are a strong start to the night. The three lads introduced themselves to the audience with a great energy; sweat clearly visible by the end of the first song. By the penultimate, the drummer is stood on his stool while the other two swing their guitars wildly. 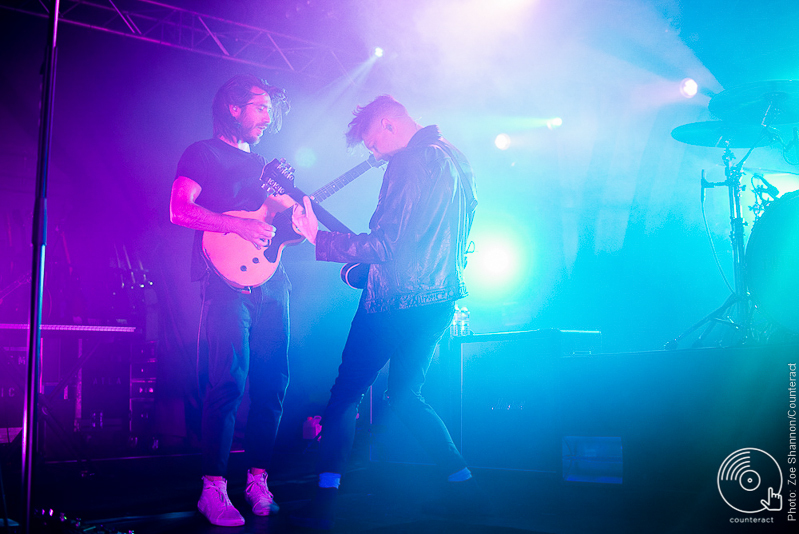 If the crowd weren’t into it from the beginning, they were drawn in with songs reminiscent of the Arctic Monkeys and White Lies by way of echoing organ sounds and catchy lyrics. They left the crowd buzzing and the stage in disarray. A slightly unprepared beginning for an unmatched looking set of musicians, Darlia spent a couple of songs seemingly uneasy. The audience were on their side though and once they found their stride, they looked a lot more comfortable. They warmly interacted with the crowd while they lunged and jolted with the music. 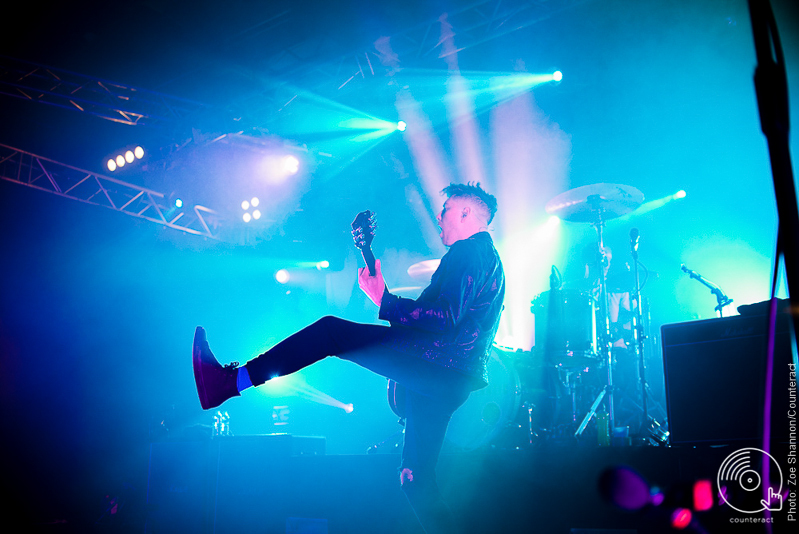 Their guyliner clad front-man, anthemic vocals and heavy riffs meant the 90‘s indie vibes were strong. Kula Shaka, Suede and Nirvana all came to mind. The stage lights lowered and the crowd responded in whistles and cheers before Twin Atlantic modestly meander to their instruments. 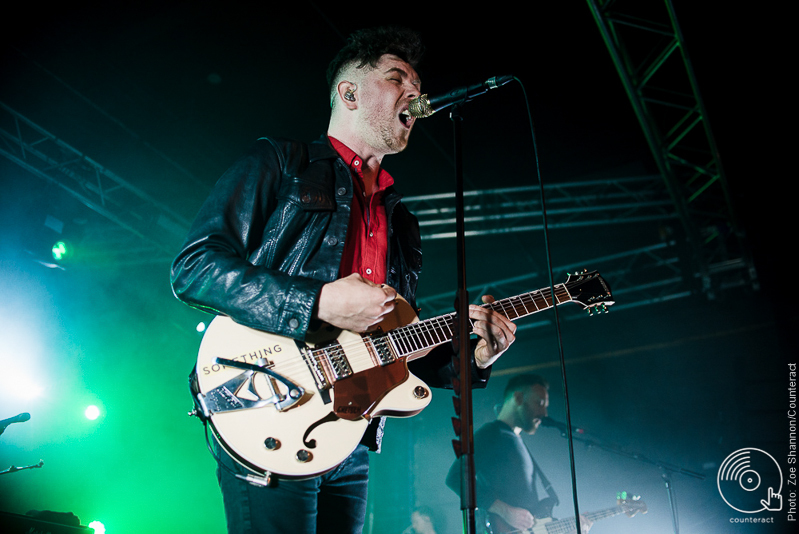 Sound erupts in the form of ‘Valhalla’ and by ‘Free’ and ‘Ghost of Eddie’, roughly 2 songs later, the front-man holds their undivided attention; every word sung back to the stage, every clap and jump made on Sam McTrusty’s command. 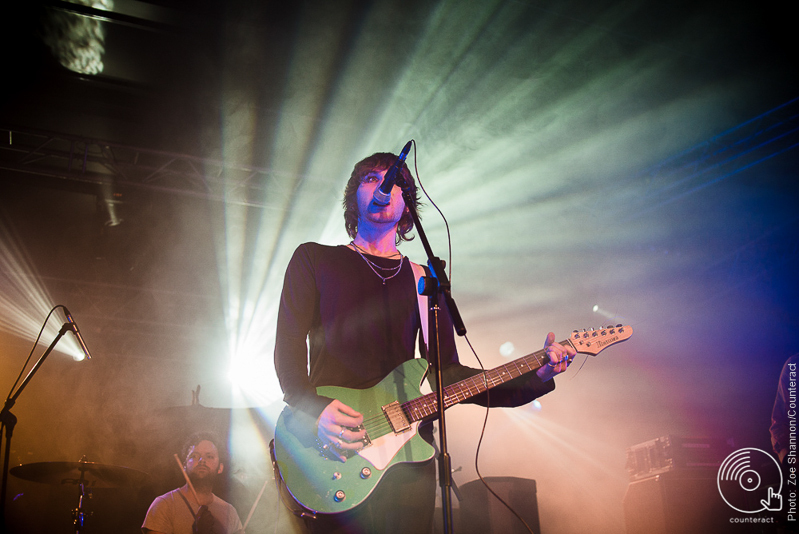 For the band’s first Coventry gig, there was nothing but love. Every song was illuminated to reflect the atmosphere and philosophy it provides; lowered and blue for ‘Brothers & Sisters’, though Sam’s vocals got lost among the enthusiastic voice of the crowd. A mid section of hits include ‘Yes I was Drunk’ and ‘Make a Beast of Myself’ before the pace slowed and Sam performed solo ‘A Scar to Hide’. ‘Crash Land’ showed Barry’s classical side to his talents through his sudden appearance with a cello. The audience are quickly whipped back into frenzy for an electric end to the set. 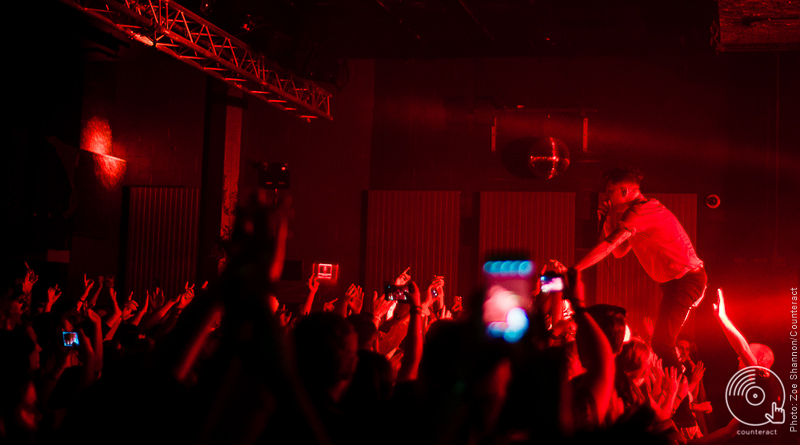 Every hand thrown into the air and fire red lights created suspense for ‘Ex El’ as Sam edged closer and closer toward the crowd, taking time to get his balance and in the blink of an eye, has disappeared among them, leaving his melodic lyrics ringing in the air. They end with the first single from GLA, ‘No Sleep’ and of course ‘Heart and Soul’ to a roaring cheer. So much more than just a rock band, through an animated performance the music bears down on you; full of power and climatic lines, while the complex and honest lyrics connect and pull you in. Throughout the show, you don’t see Craig. You only hear his punchy drums keep each song tight and resonating in the pit of your stomach through the lights and fog, while Barry and Sam thrust their guitars in the air and enthusiastically throw themselves into every note. Ross, the least energetic member, still keeps you on your toes, providing supporting vocals and a bass line with impact. 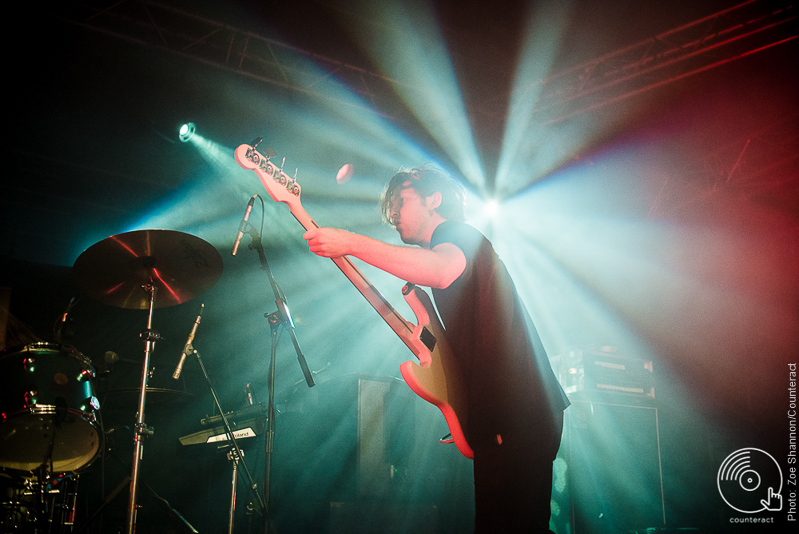 Twin Atlantic are made to be seen live.